With an affordable price, D-Link DIR-605L able to provide cloud services with fairly features. Mydlink portal site is a D-Link cloud allows network devices D-Link output with support for these features can be connected and accessible to users from anywhere. This time we tested a wireless router that supports this service, the D-Link DIR-605L. 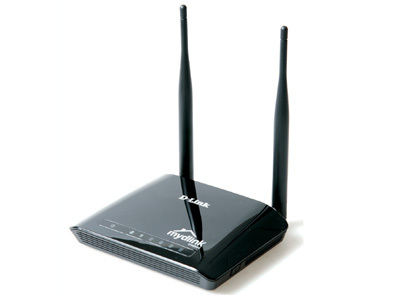 Wireless router D-Link DIR-605L has a quite concise and compact shape. Its weight also lightweight because all of body parts using plastic materials. At the front there is a logo which indicates mydlink wireless router that is compatible with D-Link’s cloud services are. In addition, there is also a indicator row lights as markers of router activity. At the rear, there is one WAN port and four LAN ports adjacent to the power port. Existing LAN port unfortunately not support gigabit speed so that it only supports a maximum speed of 100 Mbps. The maximum speed wireless connections itself reached 300 Mbps. With a fairly small size, the rear D-Link DIR-605L looks pretty tight. Moreover, coupled with two external antenna which unfortunately can not be removed. You should be satisfied with the standard antenna because the antenna can not be replaced. As already mentioned above, the D-Link DIR-605L is compatible with the mydlink cloud services. By registering your wireless router to your mydlink account, you can access it remotely and perform various settings. But first, you must first configure the web control panel. When you first log into the control panel, D-Link DIR-605L will display the current network settings. Here you can perform a quick setup changes or configure it manually through the manual setup option. Web control panel display D-Link DIR-605L is similar to other control panel products. You can do various settings, ranging from the network, MAC filtering, port forwarding, firewall, and much more. Wireless router also supports WPS security methods in addition to WEP, WPA, and WPA2. To determine the performance, we tried to determine the throughput that can be produced by D-Link’s DIR-605L. We use a wireless 802.11n adapter that has supported as its client. As a result, wireless router D-Link DIR-605L produces an average throughput of 67.489 Mbps with a maximum performance of about 80 Mbps. The speed can be fairly decent. Moreover, the wireless router is also quite responsive with an average response time below 2 seconds. 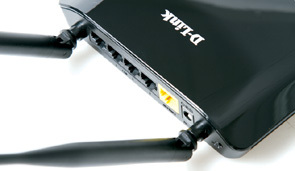 Offered at an affordable price, wireless router D-Link DIR-605L has a pretty good performance. The specifications themselves are not too special. However mydlink feature could makes it easy for you to access the wireless router from anywhere. You can not replace the antenna on the D-Link DIR-605L as permanently attached so it can not be removed. 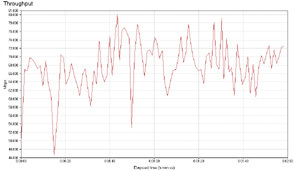 When we test, D-Link DIR-605L able to produce an average throughput of 67.489 Mbps. The size is pretty good number. Because small enough, the back of the wireless router looks full range of LAN port and power port. Plus: cloud services, compact design, good performance, reasonable price. Minus: not support gigabit LAN, the rear layouts is rather cramped, without USB port, the antenna can not be removed.